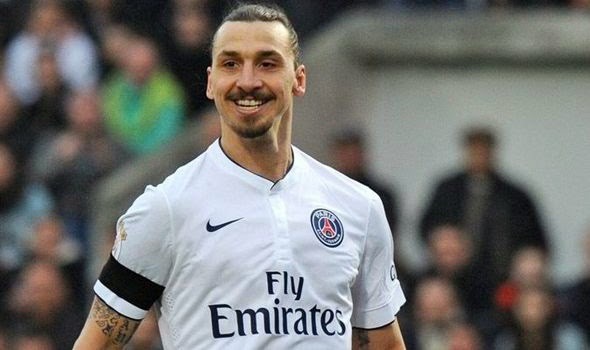 LIVERPOOL are favourites to sign Paris Saint-Germain's Zlatan Ibrahimovic ahead of Chelsea and Arsenal, according to reports. The Metro claims that the Swedish striker looks set to leave France at the end of the season, and is keen on a Premier League switch. Bookmakers Ladbrokes have made Liverpool 8/1 to sign Ibrahimovic, adding that Brendan Rodgers would jump at the chance to bring him to Anfield. The Daily Mail reports that Raheem Sterling has been slapped with a £50million price-tagafter talks stalled on a new contract. Liverpool are keen to sign the winger down to a fresh deal, but it is believed that the two parties are at loggerheads over salary. And the Mail continues to add that Rodgers is so confident that the likes of Chelsea and Manchester City won't make a move for Sterling this summer, he's ready to play hardball by putting a price on the Englishman's value to the side. Finally, the Metro believes that Liverpool are looking to sign Newcastle's Daryl Janmaat. Glen Johnson is out of contract this summer, and has been linked with a free transfer to Serie A contenders Roma. Rodgers is looking at potential replacements for the ex-Chelsea man, and the Metro adds that he has not been put off by Janmaat's six-year contract at St James' Park.